(Reuters) – India’s top private hospitals, seizing on a shortage of critical-care doctors, are expanding into the remote management of intensive care units around the country and, starting this month, in neighboring Bangladesh too. India has seven doctors for every 10,000 people, half the global average, according to the World Health Organization. Data from the Indian Medical Association shows the country needs more than 50,000 critical care specialists, but has just 8,350. Such a shortage of doctors means small facilities in India’s $55 billion private hospital market are ill equipped to provide critical care even as numbers seeking private healthcare rise because the public [government-run] health system is in even worse shape. India’s largest healthcare chain, Apollo Hospitals Enterprise, and Fortis will this year expand their network of electronic intensive care units (eICUs), scaling up operations thanks to advances in communications technology. “We want to leverage (doctors) using technology,” said K. Hari Prasad, head of hospitals business at Apollo that employs more than 700 critical care doctors. Apollo, which monitors 200 patients in six states from its only eICU in Hyderabad city, will open three new centers to track 1,000 more patients. Prasad said he is also in talks to extend the service to government hospitals. 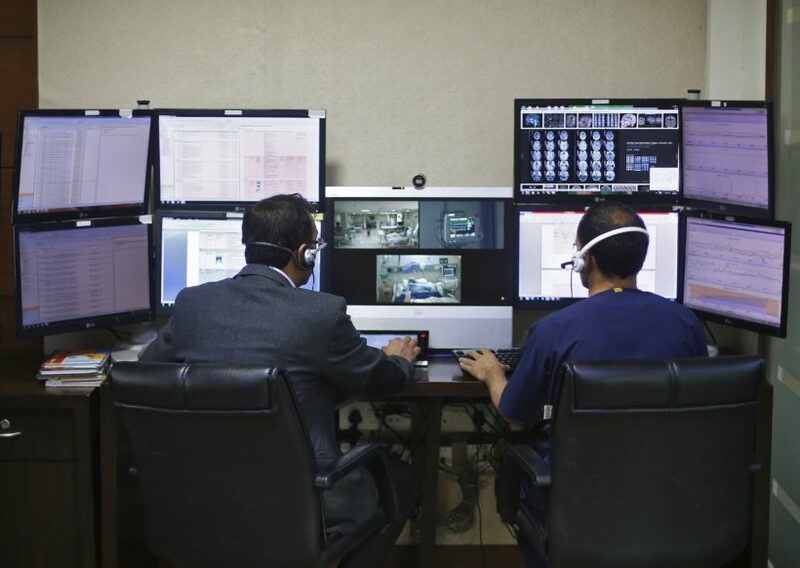 Fortis will start remote monitoring of intensive care patients in the Bangladeshi city of Khulna this week, its first such cross-border operation. The hospital chain tracks 350 patients from its New Delhi centre but will start two more eICUs by mid-2017. Jayant Singh, director of healthcare at Frost & Sullivan India, a consultancy, estimates that eICUs are boosting industry revenues by $220 million a year by giving smaller hospitals the ability to treat critical patients at the hands of top flight intensive-care specialists, even if they are in another city. Muntadher Tareef, centre, and Hosham Hassen, right, who want to return to Iraq after about five months in Finland, with Somali-born travel agent Muhiadin Hassan in Helsinki last month. Germany and Finland’s neighbor Sweden have taken in many of the migrants but Finland too saw the number of asylum seekers increase nearly tenfold in 2015 to 32,500 from 3,600 in 2014. Almost two thirds of the asylum seekers last year were young Iraqi men. Some are now having second thoughts, so Finland will begin chartering flights to Baghdad this week to take them home. A majority of the home-bound migrants have told immigration services they want to return to their families, but some expressed disappointment with life in Finland. 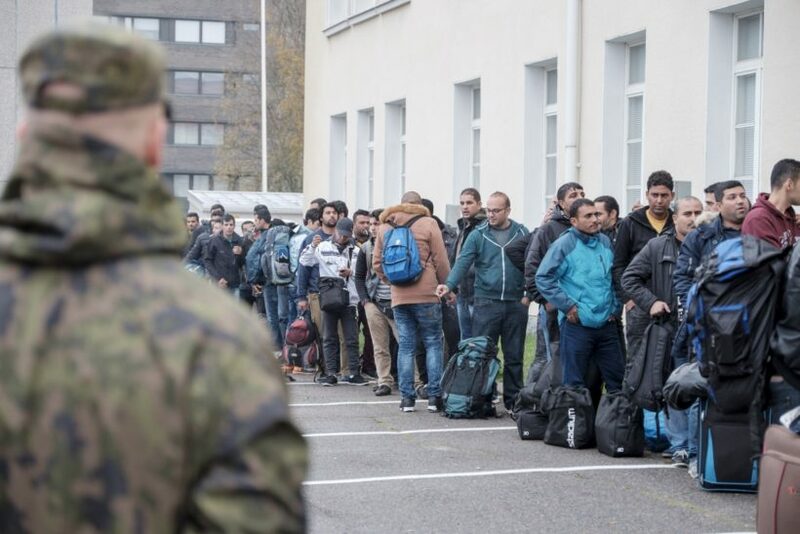 “Some say the conditions in Finland and the lengthy asylum process did not meet their expectations, or what they had been told by the people they paid for their travel,” said Tobias van Treeck, program officer at the International Organization for Migration (IOM). Nearly 80 percent of the migrants returning home are Iraqis. 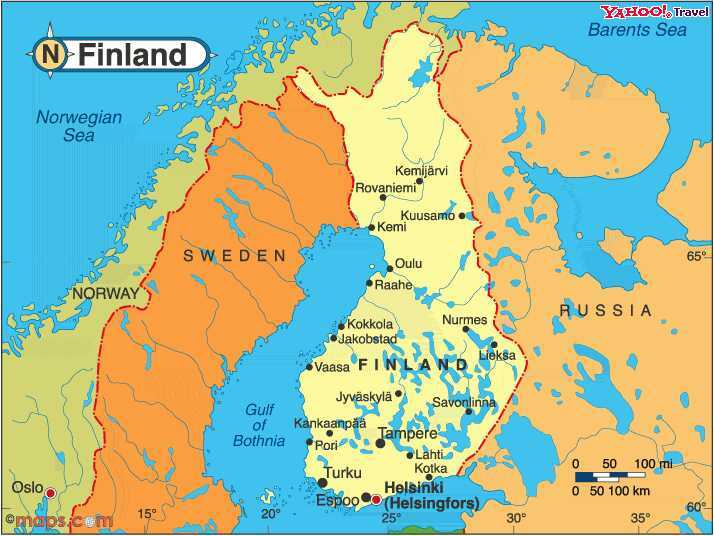 Just 22 of the 877 Syrians – whose country is racked by civil war – and 35 of the 5,214 Afghans who sought asylum in Finland last year have asked to return to their home country. Along with other Nordic states, Finland has recently tightened its immigration policies, for example requiring working-age asylum seekers to do some unpaid work. Hostility to migrants has also increased in Finland, a country with little experience of mass immigration and which now has economic problems. Germany too, which took in 1.1 million people in 2015, has seen small numbers of Iraqi refugees choosing to go home. Finland had been preparing to reject up to 20,000 asylum seekers from 2015, but the number of voluntary returnees could significantly reduce that figure. 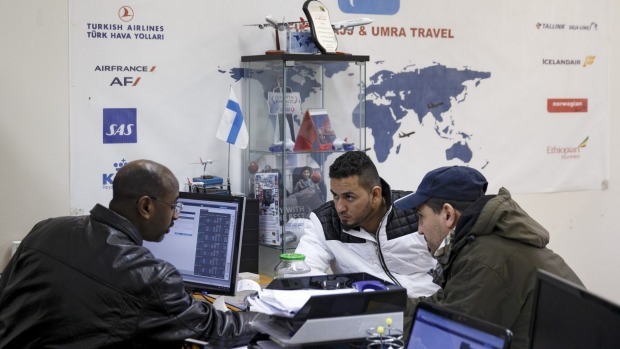 “The number of returnees is increasing steadily … All asylum seekers are informed about the options for voluntary return and about the available financial assistance,” said Paivi Nerg, a senior official in the Finnish interior ministry. However, most Iraqi returnees pay for their own flight home or seek help from Iraq’s embassy in Helsinki, she added. Last year the Finnish government and the IOM provided financial help to 631 returnees and a similar number is expected this year. (USA Today) – China’s government is sending a message to citizens who dare to dissent: flee China if you dare, but know that, even in foreign lands, your criticism of the Communist Party may be punished if Chinese agents find you and spirit you back to the mainland. These operations are increasingly brash. In Myanmar, Chinese authorities captured the teenage son of two detained human rights lawyers with the cooperation of mountain-dwelling rebels. In Thailand, four critics recently [forcibly brought] back to China include two men with United Nations refugee status. Foreign citizenship also failed to protect bookseller Lee Bo, a Hong Kong resident with a British passport. After his Dec. 30 abduction in Hong Kong, he claimed in an equally improbable letter, written from an undisclosed detention center, that he simply volunteered to go to prison in mainland China. 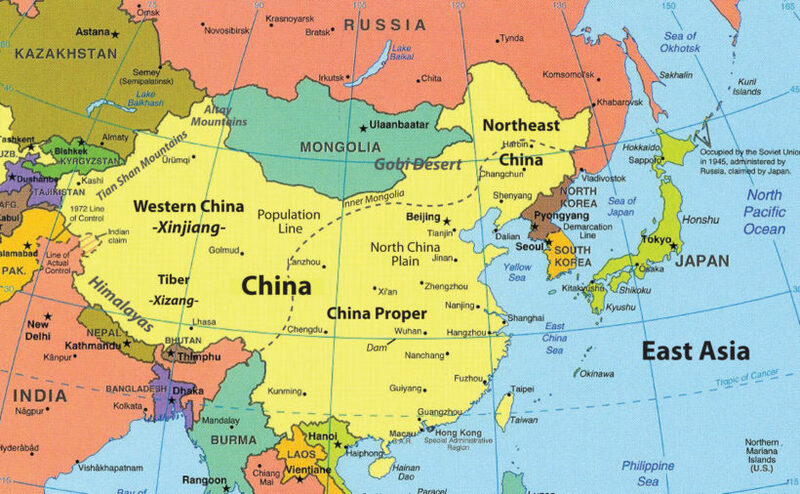 Few are convinced that critics of China’s authoritarian regime would suddenly decide to rush into its arms. All are now at “the mercy of a criminal justice system where torture and other ill-treatment to extract ‘confessions’ remains widespread,” according to Amnesty International. b) For what reason are private hospitals taking this step? c) How many doctors does India have per 10,000 people? d) How many critical care specialists does India have? How many are needed? There are currently (as of 2005) 40,838 doctors of Indian origin in the U.S. and they account for 5% of all doctors in the USA and 20% of all International Medical Graduates employed in the US workforce. It is noteworthy that India provides the largest number of International Medical Graduates to the US in absolute numbers. With 59,523 physicians of Indian origin working in the English speaking Western world (the US, UK, Australia and Canada combined), India is by far the single largest source of emigre physicians in the world. Why do you think so many Indian doctors choose to leave India? What incentives should the Indian government offer to doctors to stay in India? b) Why are thousands of Iraqi refugees voluntarily leaving Finland to return home? Be specific. c) Read the definitions for asylum and refugees under “Background” below. What does this tell you about the Iraqi (or other) asylum seekers’ decision to return home? b) Hong Kong publishers Gui Minhai and Lee Bo were preparing a book on Chinese President Xi JinPing’s love life. What citizenship/passport does each man hold? c) After disappearing, what did Gui do? What did Lee Bo write in a letter? A doctor at a hospital in India’s capital, New Delhi, was recently tracking a wall of monitors displaying the vital signs of intensive care patients admitted hundreds of miles away when red-and-yellow alerts rang out. The oxygen flow to a 67-year-old patient had stopped when no critical care doctors were present in a hospital in the northern city of Amritsar. But the doctor in the New Delhi centre run by Fortis Healthcare quickly issued a set of instructions and stopped the patient from suffering brain damage or death, the Indian hospital chain said in an account of the episode. With multiple computer screens inside these high-tech eICUs, doctors suggest treatment procedures after assessing medical history and real-time heart rate charts of patients fighting for their lives in distant facilities. Doctors recently saved a 30-year-old pregnant woman in a hospital in the southern city of Warangal after her heart stopped beating, assisting a resident doctor not specialized in intensive care to carry out chest compressions through a video link. “We save about 25 lives a month,” said Shamit Gupta, medical director at Fortis’ eICU unit. Hospitals charge between $10 and $30 a day to virtually monitor a patient from their eICUs, with revenues shared between hospitals and companies such as General Electric and Philips that have developed the tracking software. That comes on top of standard critical care costs of about $200 a day in a small city hospital. At that price, eICUs do little to address concerns of millions of India’s poor patients who often share beds or wait for days to gain admission to a public hospital. Asylum seekers are people displaced by persecution and conflict around the world. They flee their homes in search of asylum and refuge, away from persecution. They are seeking international protection but whose claim for refugee status has not yet been determined. Their refugee status application is processed by the UN High Commissioner for Refugees (UNHCR) or a government that is a signatory to the UN 1951 Refugee Convention. An asylum seeker must be outside of their country of origin in order to lodge an application for protection. 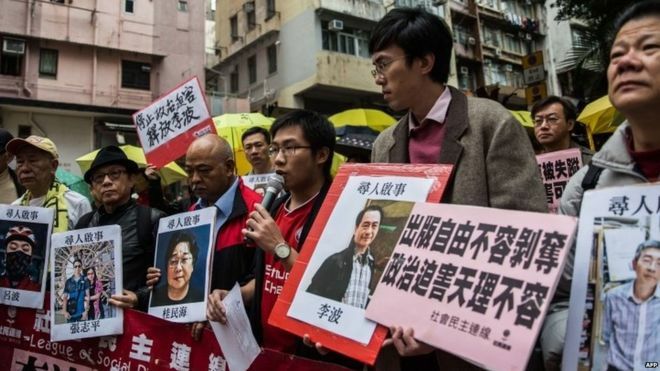 Read a January 2016 article on the same topic: Is China Kidnapping Hong Kong Residents?